Twelve inspiring posters by thinkers from around the world. 100% of proceeds go to the visual and silkscreen artists. 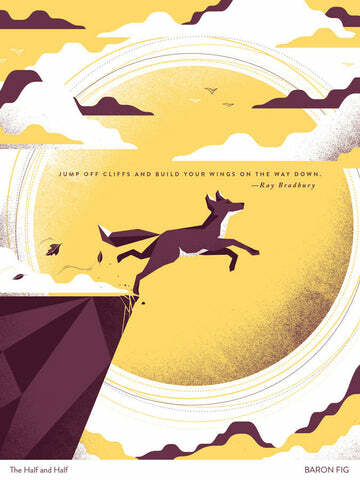 THE POSTER PROJECT is a celebration of the maker spirit. We invited illustrators and designers from around the world to contribute, giving each an inspiring line and simple color palette. They worked to bring these beautiful posters to life. We revealed them, one per day, over the course of May, and through June we will be selling limited editions of 50 each (ever). 100% of proceeds are going to the visual and silkscreen artists. Simple. Useful. Designed by people like you.